An Aberdeen councillor has written to transport bosses after a bus giant pulled services to a city suburb. Liberal Democrat councillor for Kingswells, Steve Delaney, has written to Joan Aitken, Scottish traffic commissioner, following First Aberdeen’s decision to withdraw buses from Kingswells by the end of the year. Under current legislation the Traffic Commissioner has no powers to prevent an operator from stopping a service, but Mr Delaney has asked Miss Aitken to intervene and use her influence to try to persuade the company to reverse its decision. 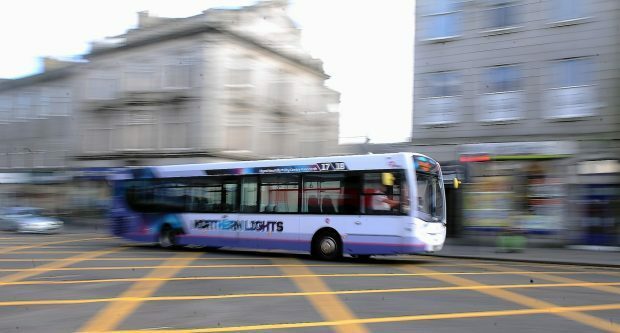 He said: “First Aberdeen has done well from its operations in the city, but increasingly we see them concentrating on their most profitable routes and axing services on less well used routes. “I believe this to be the thin edge of the wedge and fear for other routes as First’s greed over-rides its obligation to provide a public service for all. Councillors across the political spectrum have written to First citing their concerns.